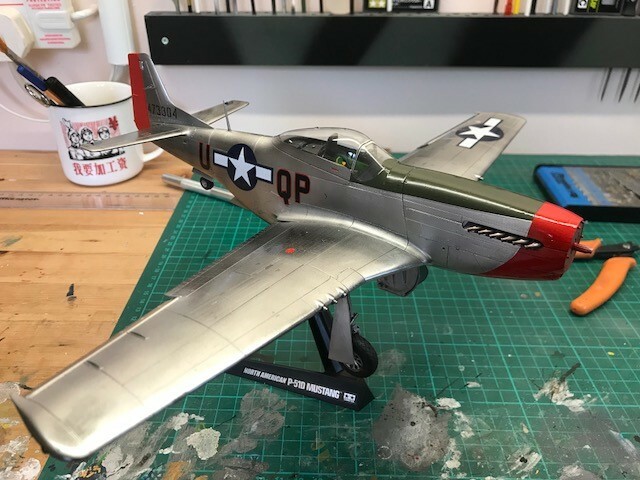 After finishing my previous model I decided to challenge myself with a NMF finish and so got the 1:32 Tamiya P51-D Mustang with which to have a go. Going with the box art scheme. As I am still a relative newbie I am doing this OOTB..........baby steps....NMF is my next goal.........maybe scratching will come later. 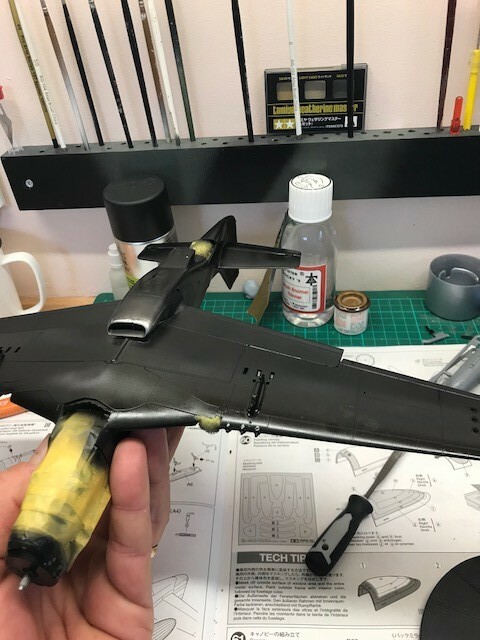 I have never attempted NMF before, have purchased some Alclad II black gloss primer along with airframe aluminium and dull aluminium to use on select panels as it seems people like to break up the panels to make it look more realistic.....we'll see how it goes. 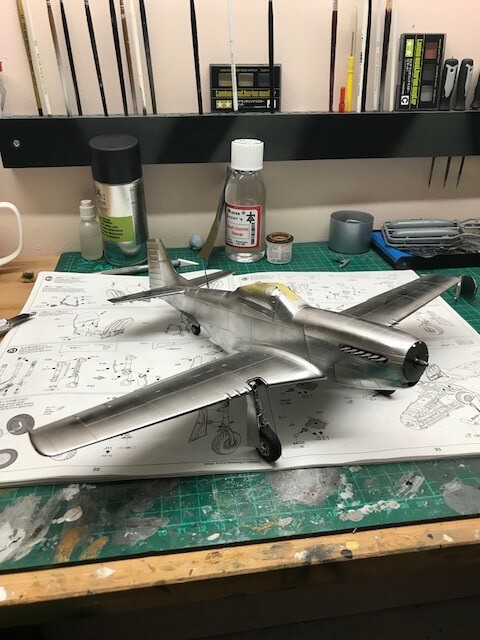 Got an old Nimrod model that I intend to use as a paint mule and see how easy (or not) it is to get the desired effect. 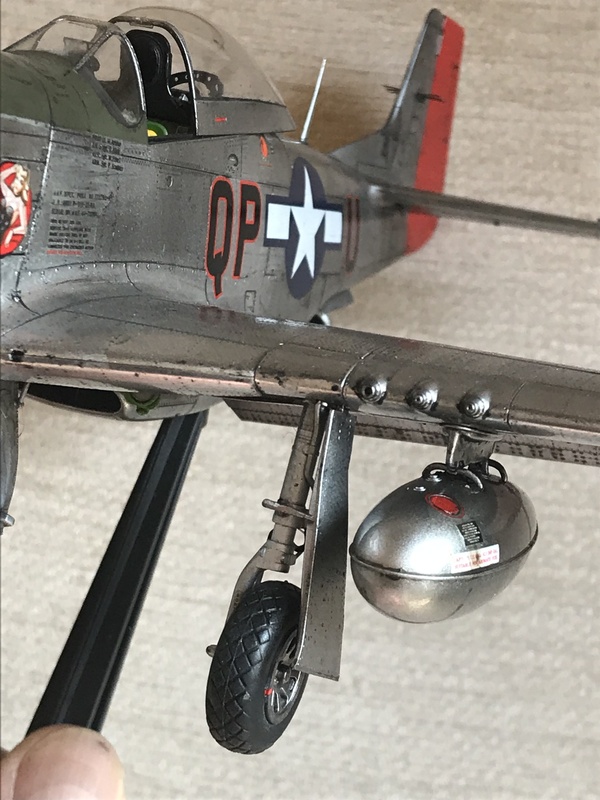 If all else fails I can always go back to the Tamiya rattle cans. 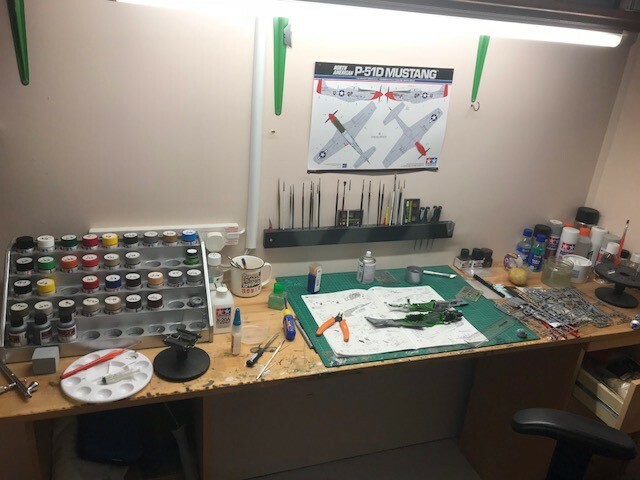 So, having had a week or so of very intermittent bench time I have the pit done, still needs to be weathered but I'm reasonably happy with it so far. 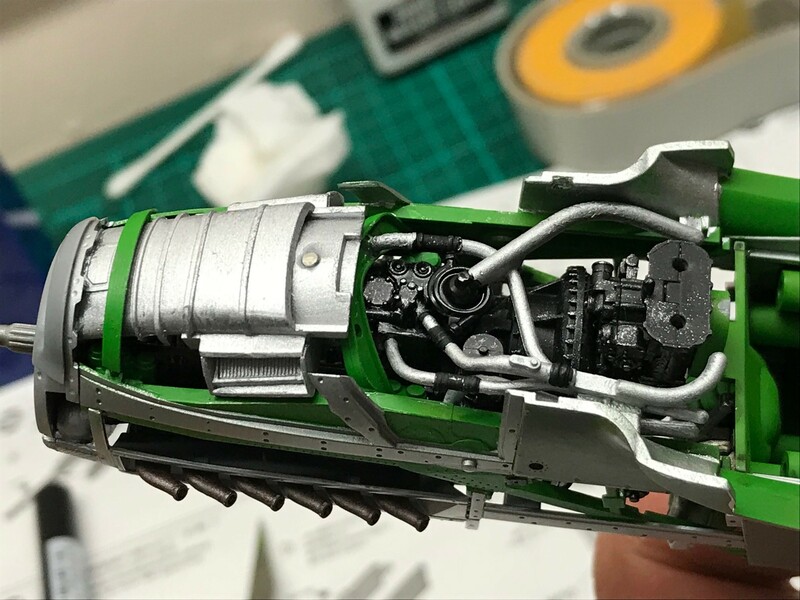 Also got the engine done and just about ready to join the fuse halves together. So here is how she stands now..........as always, comments and critique most welcome. 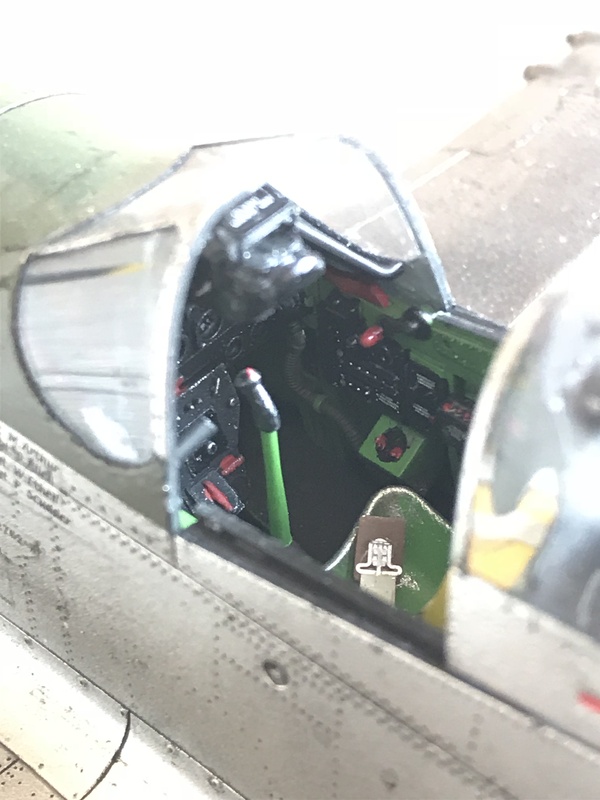 Everything is looking real good so far, as is the finely detailed painting, which is nice and crisp (except the 2 crooked placard decals on the interior), no big deal there. And yes, messed up the placard decal. Should be a single decal but somewhere along the line I must have broken it in half and it went a bit squew wiff on me. Only noticed when it was already dried and so going to have to live with it. Don't suppose you will hardly see it when everything is buttoned up! 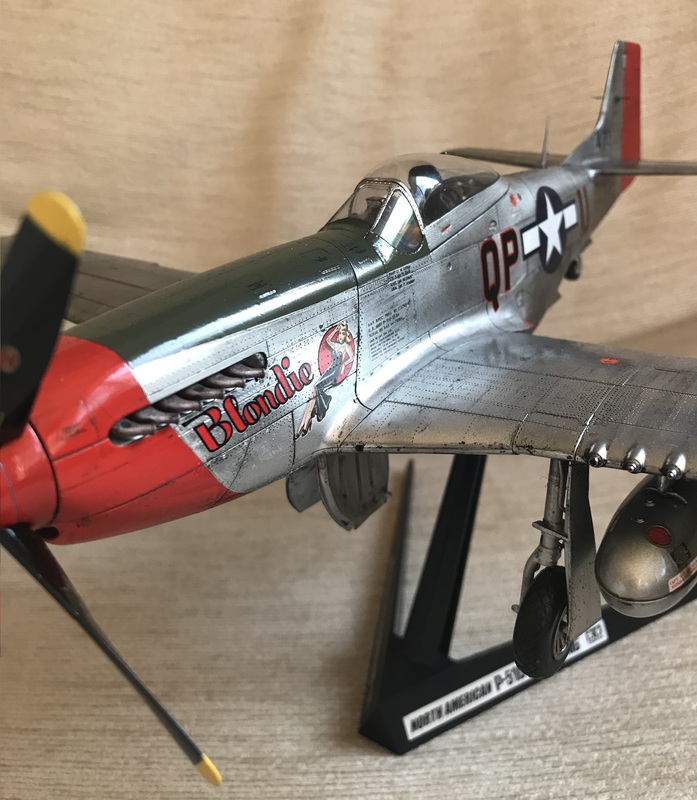 As you just completed the Tamiya 1/32 Corsair and is starting the build of the Tamiya 1/32 P-51 Mustang, how do you like both these builds thus far? Thank you in advance. Of course fit and finish are beyond belief as I too have built both these kits. 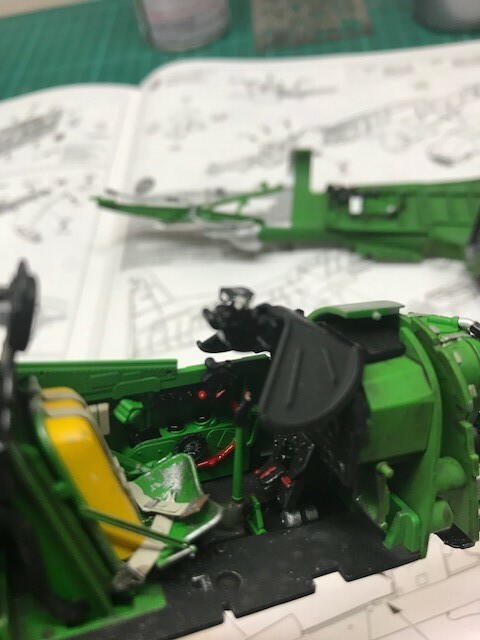 Your attention to detail is excellent, I’ll extremely enjoy this WIP! There are also a select small handful of aircraft. 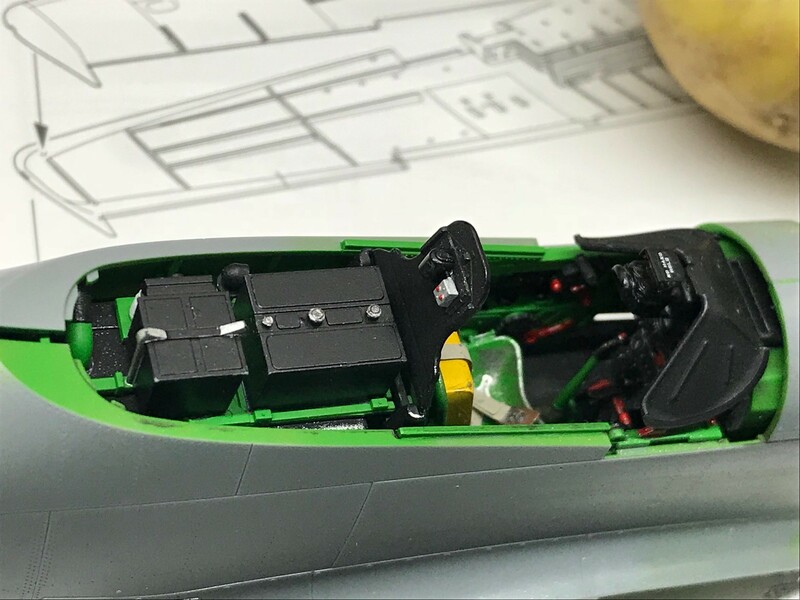 Tamiya has as 1/32 kits. 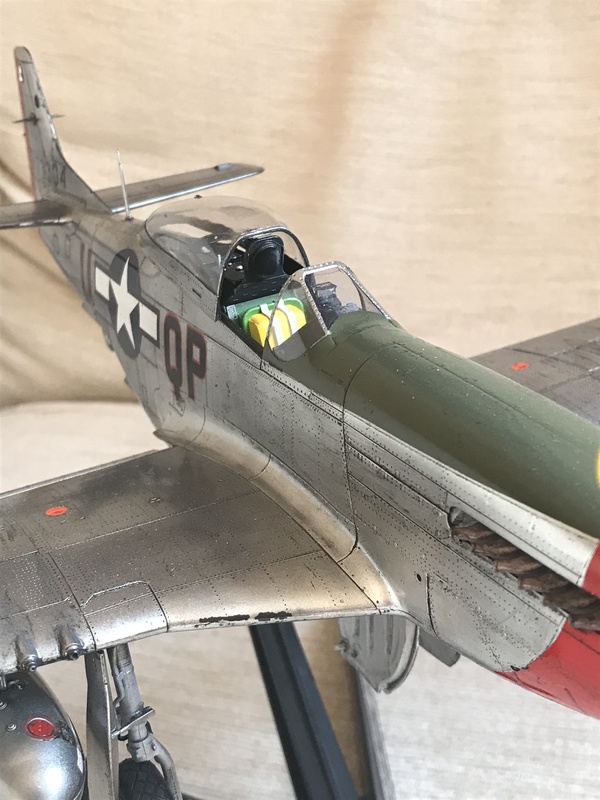 I’ve built these as well and extremely enjoyed the process of assembly and painting. 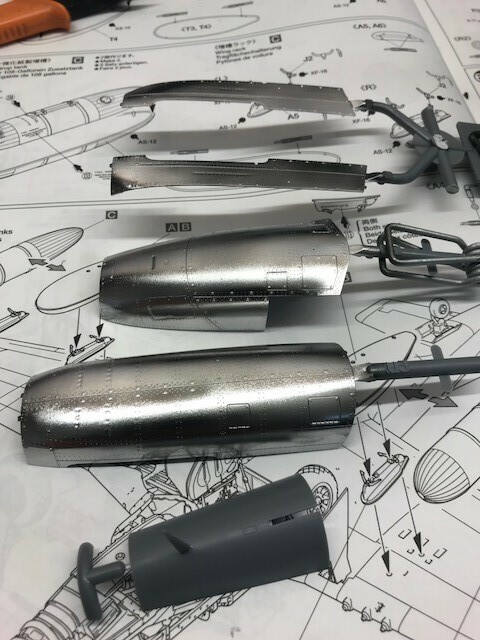 Thsee 1/32 kit’s are as follows; Spitfire, Zero, and Tamiya‘s flagship Mosquito kit’s! All of which are excellent examples of each aircraft. 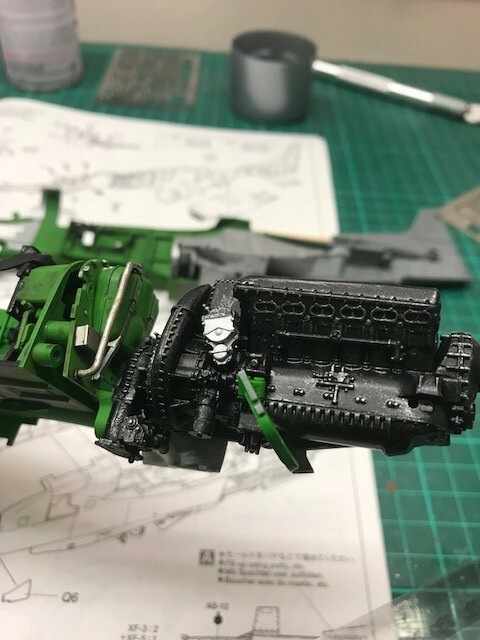 Good luck sir in your Mustang kit as I’ll be excitedly watching this WIP! Hello Toshi.....and thanks for your kind words. With all the things going on in your life I am honoured that you take the time to follow and comment on my build. I hope that things are on the up for both of you now. More progress today, got a decent few hours on the bench. 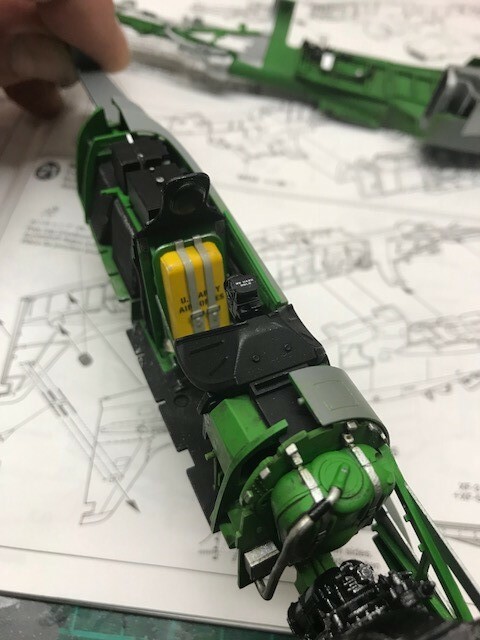 Fuse joined and all the extra pieces around the engine all added and painted. 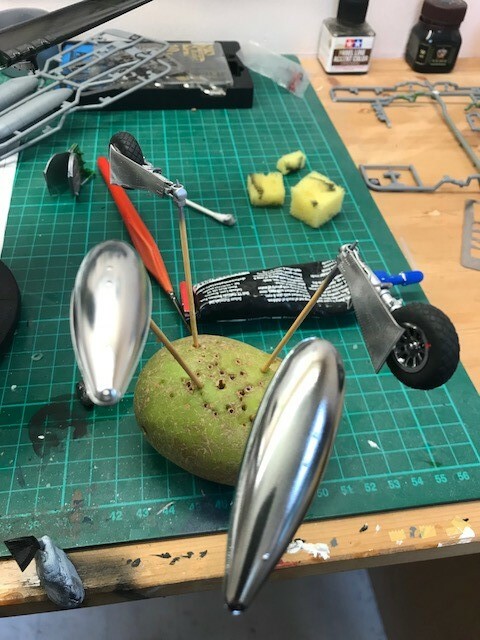 Excuse the potato in the pics, I 'borrowed' one from the missus and use them to poke cocktail sticks into them when I paint/dry parts! 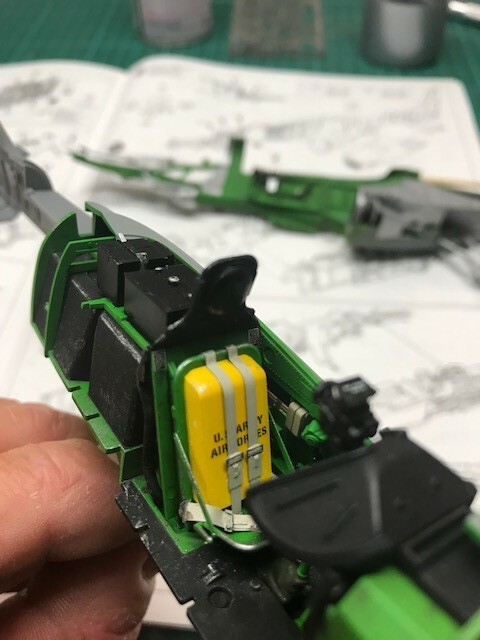 And finally, made a start on the armament, took a while to do these - picked it all out with a cocktail stick very pleased with the result.......best I have ever managed to achieve.......dead chuffed! Your work looks real nice. So, I've been away from the bench for a few weeks, business trip to China. But now I'm back and hit the bench for a few hours over the weekend and got a few more bits done. 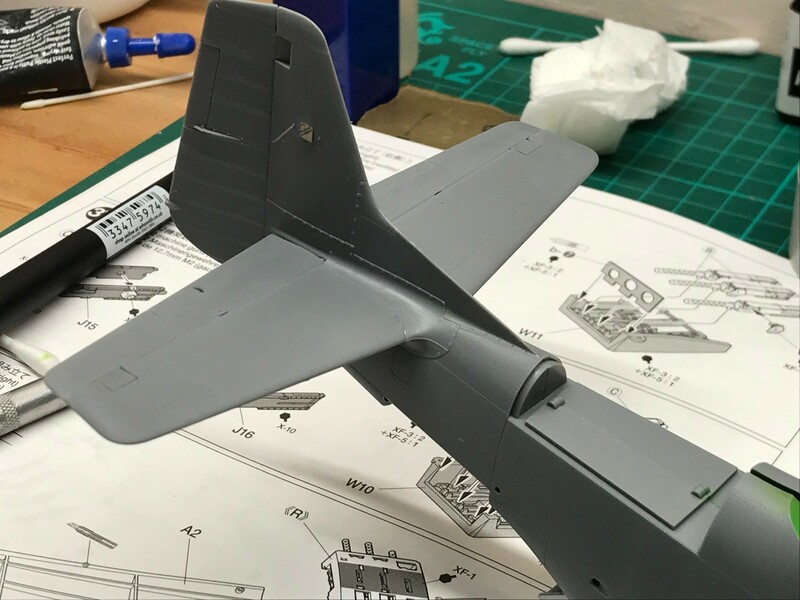 Most of the assembly stages are now done, wings on, undercarriage done, ordinance done etc. 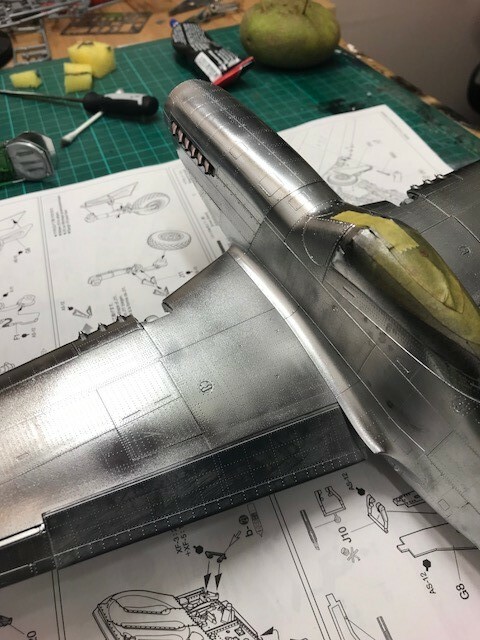 Next up was a go at the NMF, for this I'm using ALC-119 Airframe Aluminium on the engine panels, rear wheel assy and ordinance. 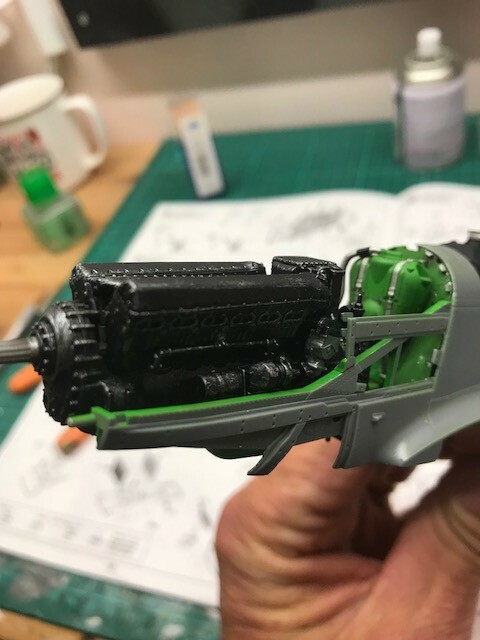 I think it looks pretty good considering this is my first go although I think I may have sprayed on a bit too much of the 119. Seems like a VERY fine line between not enough and too much! 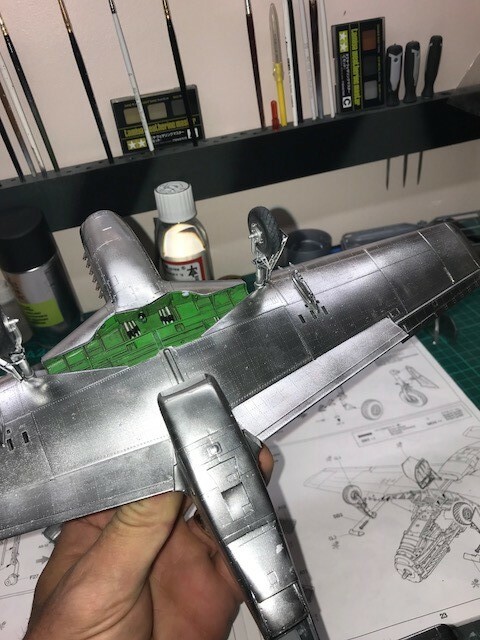 I figure that if I make a pigs ear out of it I can always go back and spray with the Tamiya rattlecan (AS-12 Bare Metal Silver) but I am going to persevere with the Alclad unless it all goes t*** up! 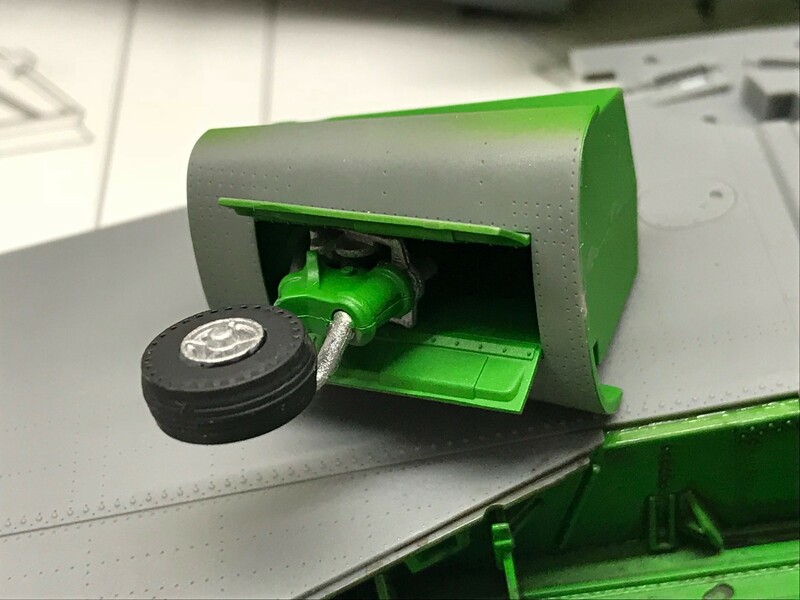 The rear wheel well looks nice and smooth but I have got a slightly rough finish on the engine cowlings so going to sand that back down and try get it better, thing is, I'm worried about loosing the rivet detail so I'm going to have to be very careful. A couple of questions to the community. 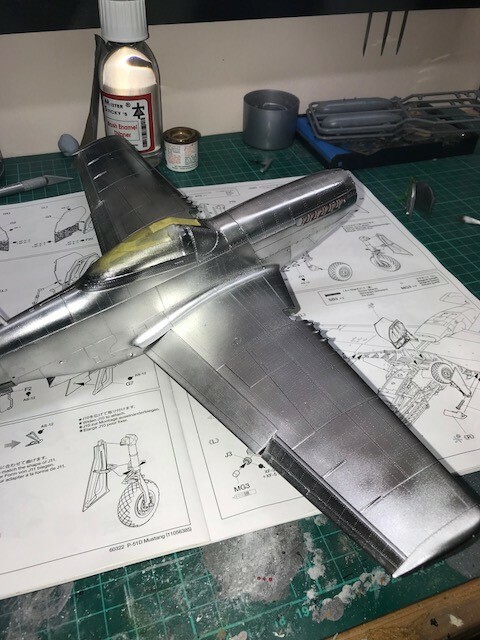 1) With Alcald I've read that you should be JUST able to see the black gloss primer, I guess it's just experience that tells you when enough is enough, any tips on this for an Alclad virgin/newbie? 2) Do you leave the model with just an Alclad finish (don't know how scratch/knock resistant Alclad is? Or should I give it a coat of Future/Gloss? 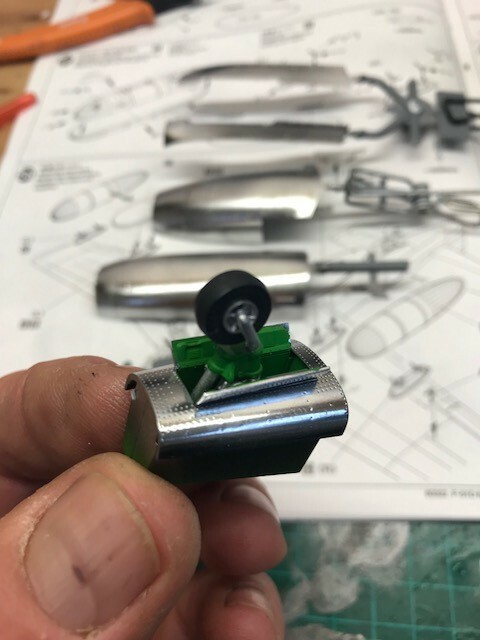 By the looks of the pics you've already got a good handle on the Alclad NMF. Well done Mate. I personally don't spray any clear coat over the NMF. I am always afraid of losing the metal effect. 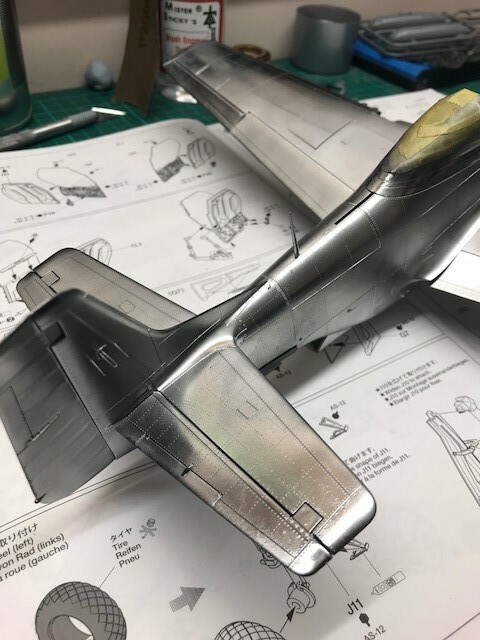 Also if there is going to be any painted striping etc, I spray that first before the NMF, then mask the colored areas so I won't get any lift of the NMF. If you do have to use any masking on the NMF, post-it-notes are a good item to use because of the low tack. I found those with the glue on the entire back of the sheet (at an office supply )real handy. Very nice work so far. It's a great kit. 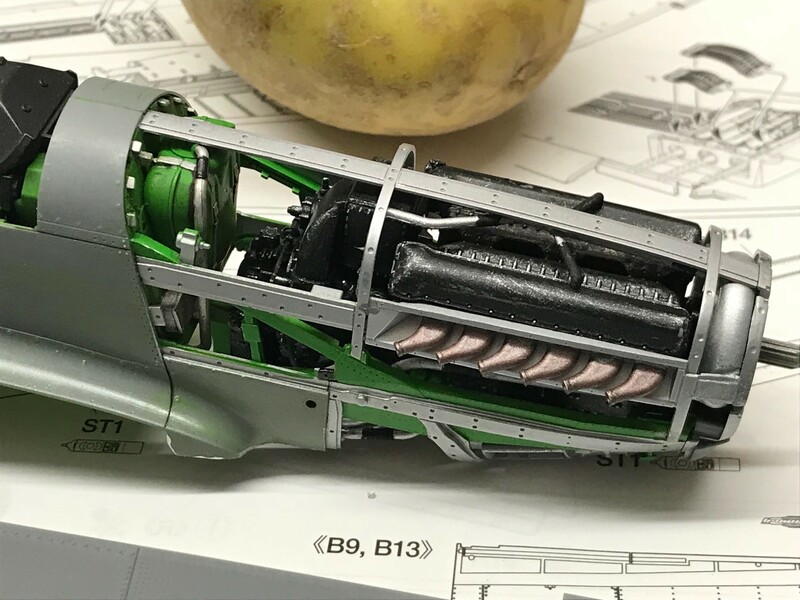 I can recommend the Tamiya Mossie as well if you get your hands on one. Thanks Jay Jay and Ole. Seems like Alclad doesn't like being handled too much as I'm starting to see the black base thru the shine. Do you guys top coat with a high gloss finish or Future. Some seem to say yes, others no! I really want to keep this nice and shiny so any recomendations for a durable high gloss varnish that won't attack the Alclad? Anyone got any experience of Alclad II Aqua Gloss Clear ALC600 ?? Aqua Gloss is really nice for a utility gloss. Tough, easy to spray. 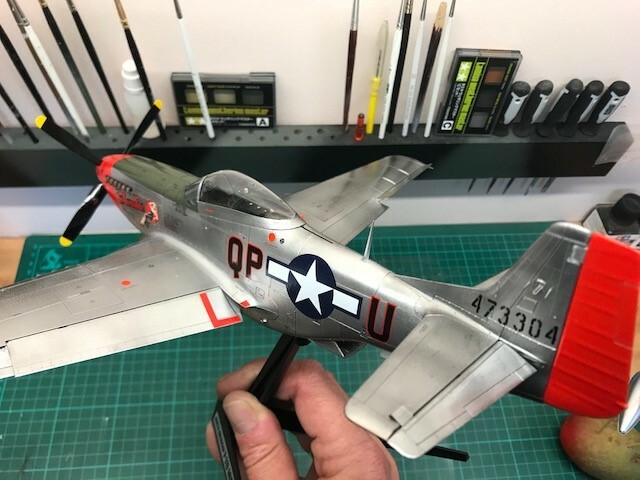 It's not going to get you to a high gloss that would make a car modeler happy, but will protect your finish and would be an appropriate choice here. You mentioned looking for critque... 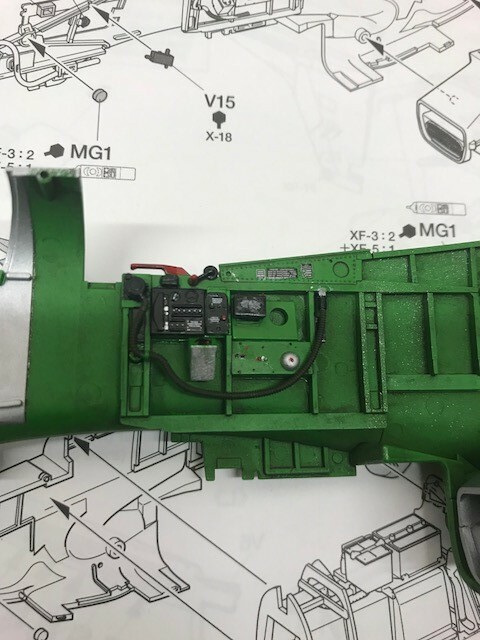 Overall, everything is looking really good, but a couple things caught my eye: first, the interior green looks a bit apple-y. Consider toning down with a filter or wash (which wouldn't disrupt all your lovely detail painting). 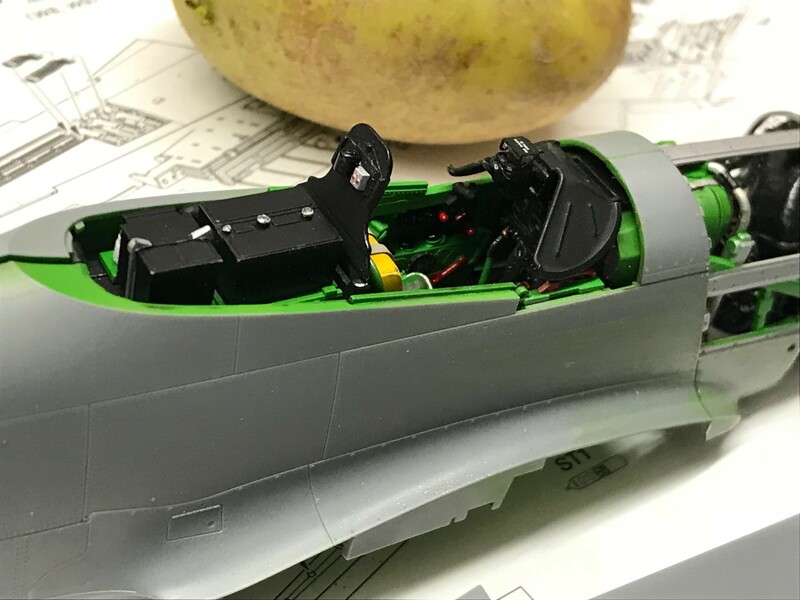 Also, the laminer flow wings got puttied, sanded etc. and then finished in aluminum lacquer, which still looks metalic, but more grey than natural metal. Again, this is looking great. Agreed....try spraying everything flat black before adding the interior green. It will add depth and shadowing. Also, be careful with the high shine Alclad colors, they aren't quite as durable. Indeed the wings were puttied and painted silver. I never fill the lines either because I like the detail. I've also read that the putty had a tendency to fall out. Looking really good. I love the detail on those large scale models. 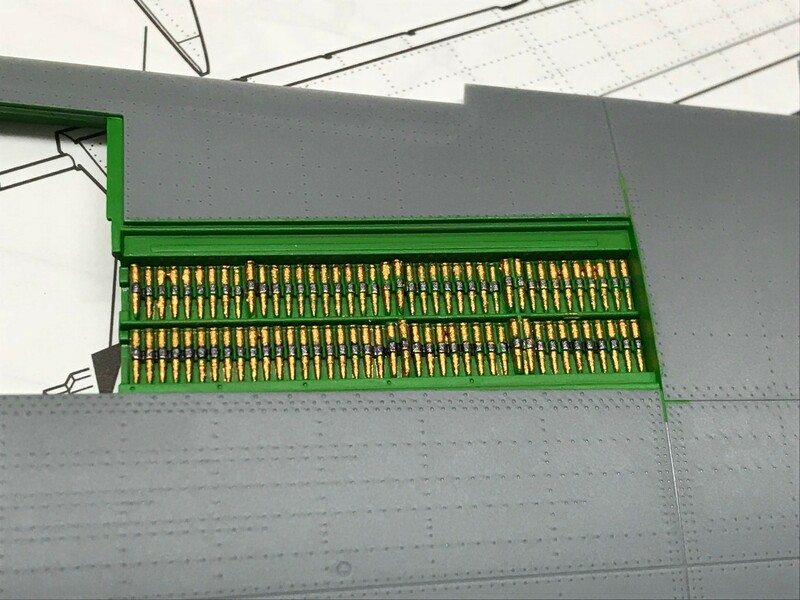 Those bullets look like they would fire. 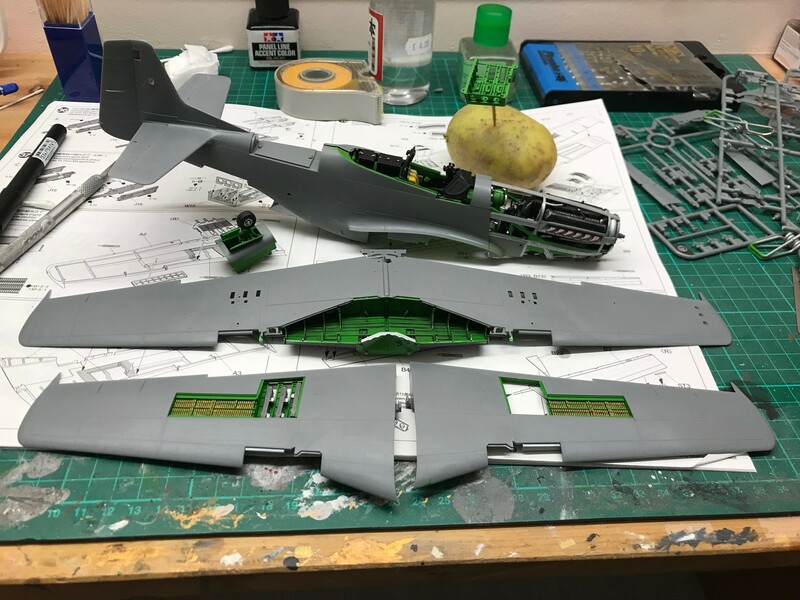 "Also, the laminer flow wings got puttied, sanded etc. and then finished in aluminum lacquer, which still looks metalic, but more grey than natural metal. " Sorry, but I don't understand this? 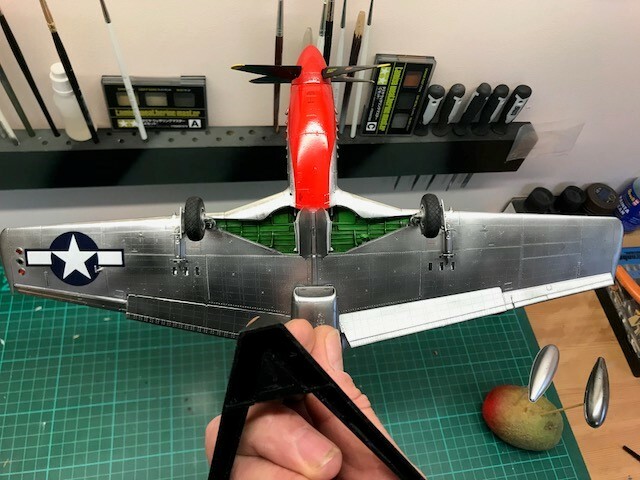 Is this something you have noted on my build or something that was done to the real plane? 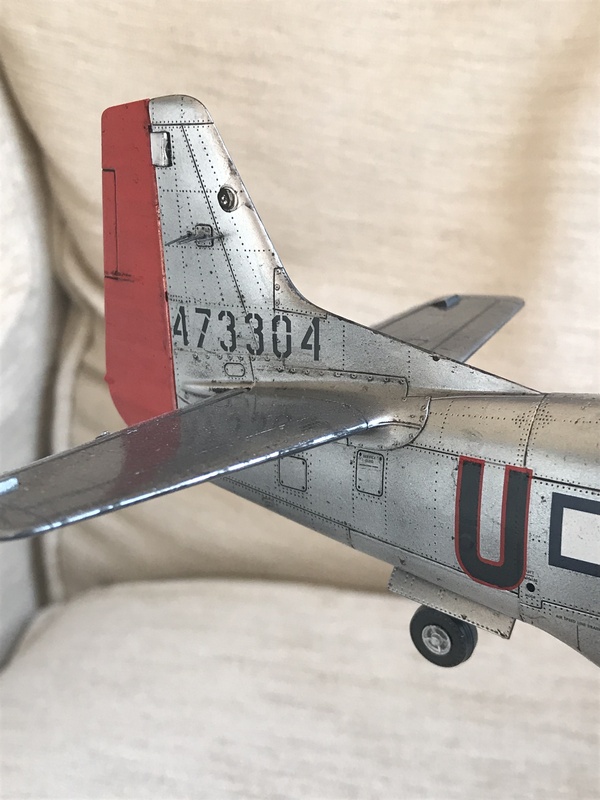 I havent used any putty on this model? The fit has been superb. 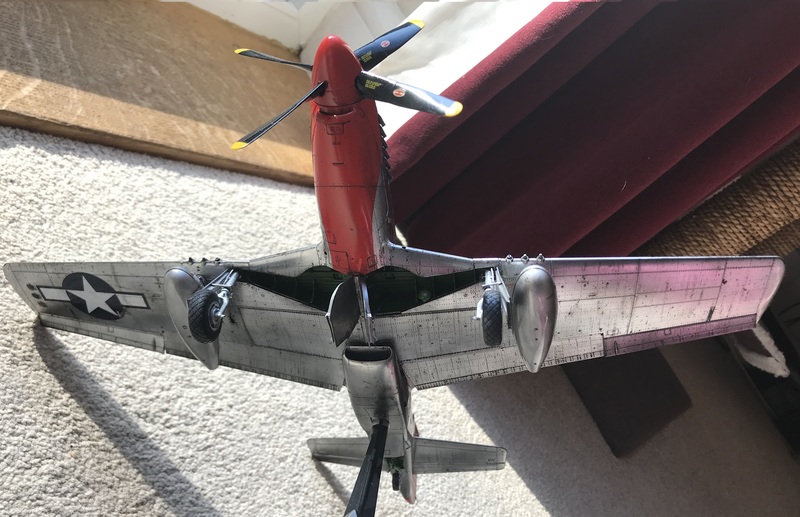 The real plane, not your model. 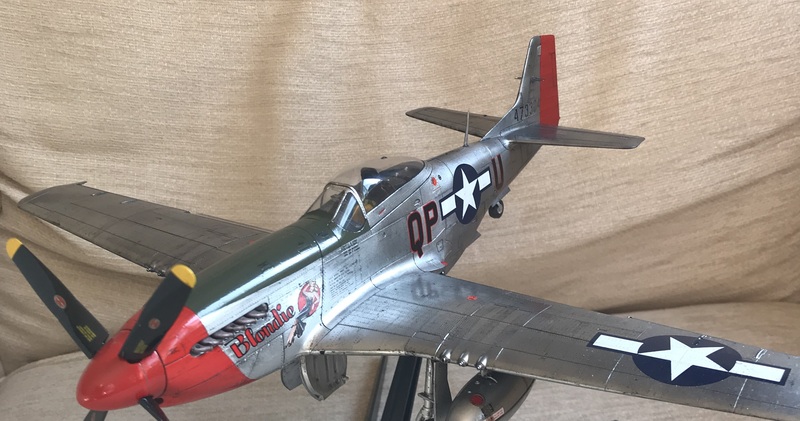 The P-51D did not have a natural metal finish on the wings, but rather they were painted silver (aluminum lacquer) which doesn't look like unpainted metal. Johnny1000 is correct. 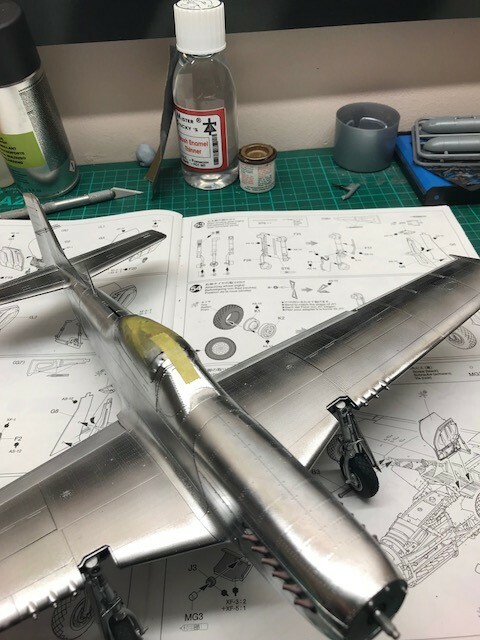 I did some research a while back and was surprised to discover P-51 wings were given a couple coats of zinc chromate primer, followed by silver paint, before being attached to the fuselage. It made me wonder why paint chipping doesn't end up showing the primer coat. Maybe it does, but I really haven't seen any pictures showing it. 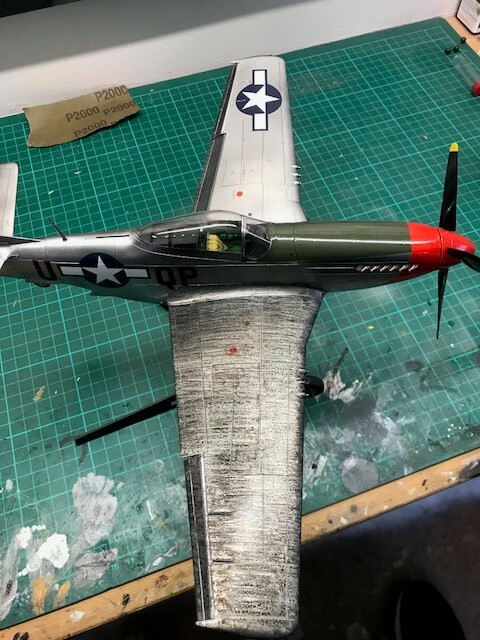 Also, the wheel wells on P-51's were usually silver, at least when they left the factory. 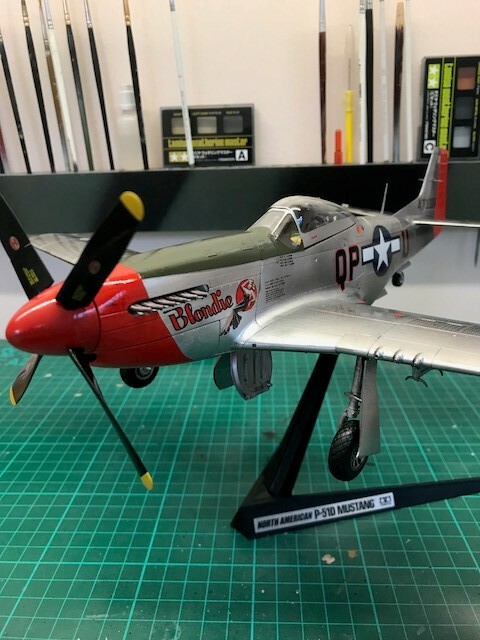 I feel compelled to add one more remark concerning the wheel wells of the P-51. They left the factory with silver paint, but mechanics were known to spray zinc chromate in there later on, usually after repairs. It's possible it was also done for other reasons, but, whatever the reason, it's enough to know you don't need to go back and repaint the wells. 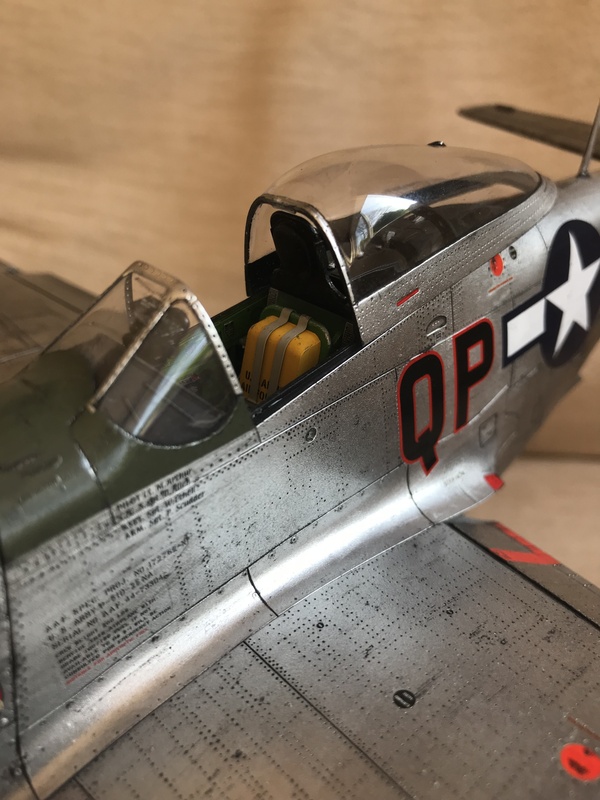 The whole plane looks great as it is, and such a minor detail is hardly worth stressing over. From what I've gleaned from my research, most the pilots who actually flew them can't even remember what color this area was. 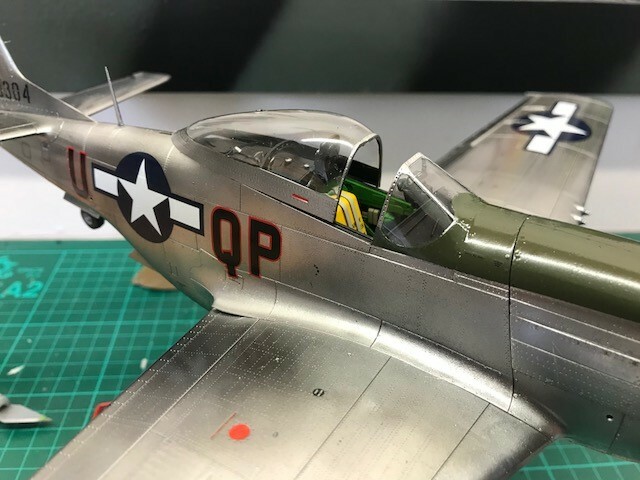 They remember the upper fuselage paint scheme and the cockpit, but that's about it. With reference to the puttied wings, some had the putty removed and polished the wings. Like most, I read the same reference to puttied wings, I came across reference mentioning that it had a tendency to crack and fall out. 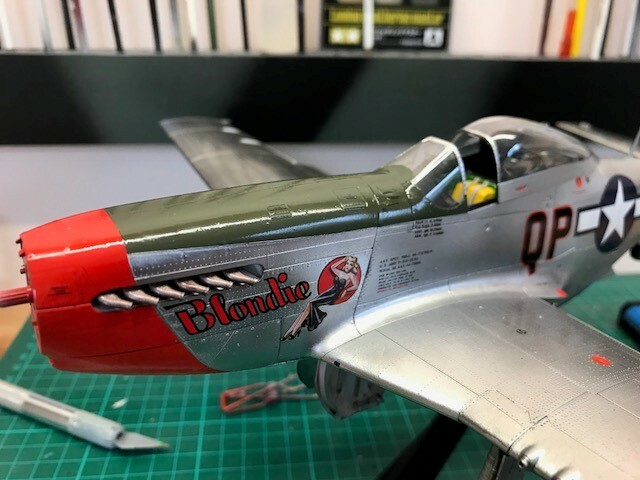 An RAAF post WW2 P-51-D flown in Japan shows a highly polished airframe including wings, which is how I will finish my example. Well done on the build BTW. So, it's been a long time since my last post/update. 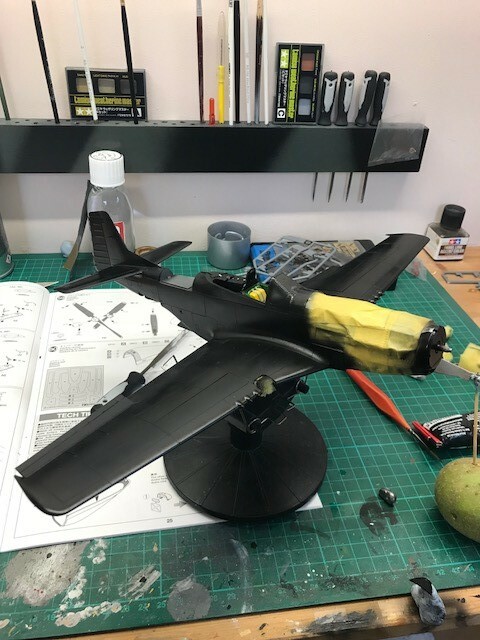 Work and Xmas got in the way of any progress. I was away on business for a month and came back just before Xmas. Upon my return, to my horror, I found that my lovely Alclad finish had gone real bad. The paint appeared to have been badly affected by my old finger prints, lots of black prints had appeared. 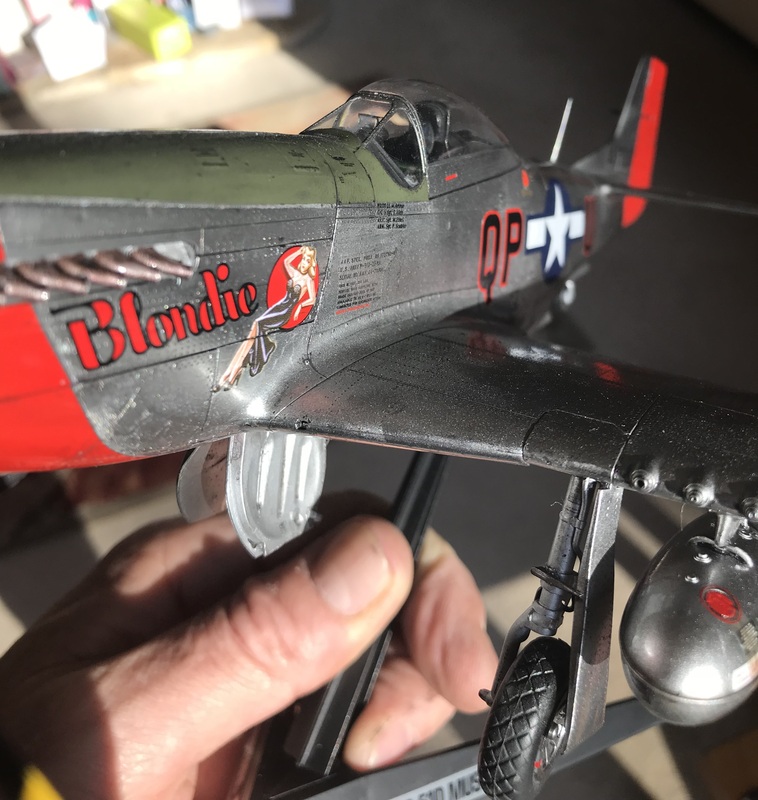 Sure, the finger prints were surely mine, but they had really affected the paint......maybe due to being left for a month in a cold, damp shed?? 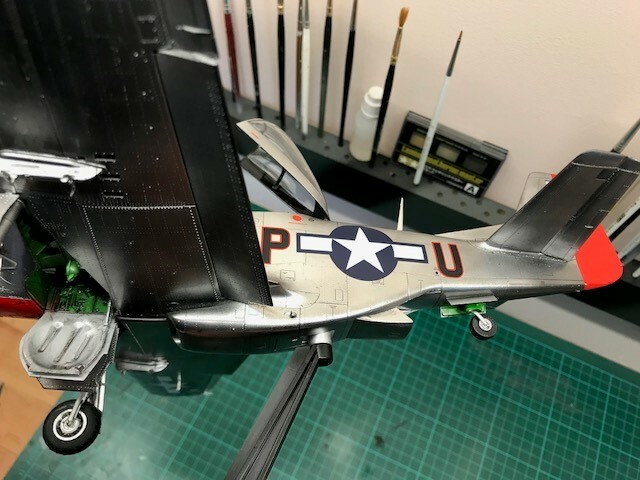 Anyways, out came the black primer again and started all over again.....this time sealed with Alclad gloss after the shiny stuff was all back on again and looking good. 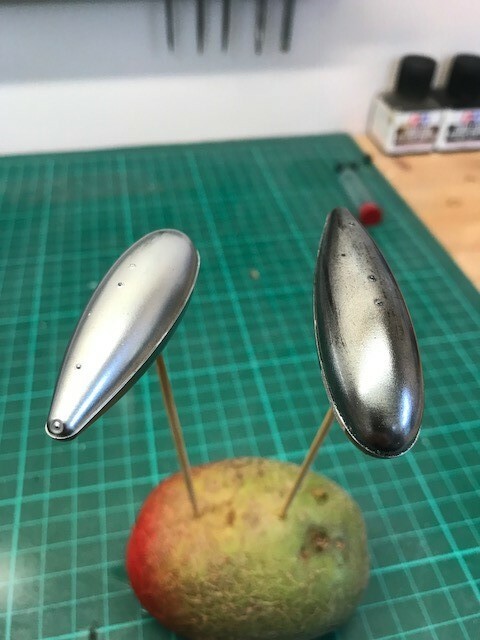 Even tho I think I did an OK job the first time round (my first try with Alclad), I think second time around I was more comfortable with its use and got a better finish......so maybe it going bad and having to redo it wasn't a bad thing?!?!?! Once the gloss coat was dry it was time to decal, warm water and Decalfix were the order of the day(s). 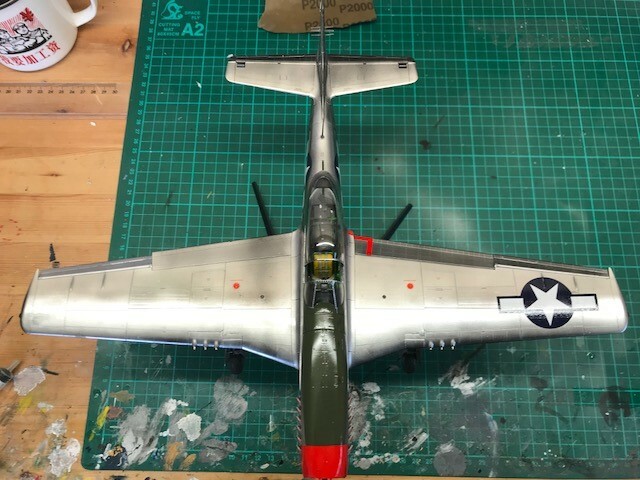 Decals went on without major issue, just one of the stars and bars split in two...but careful placement of the 2 parts makes it near as dammit invisible. For some reason, the bombs, which were spayed at the same time and looked the same, no longer look the same. They have been sat in the box since the start of November (not glossed?) so not sure what has gone on there. Guess I'll have to redo them. Anyways, now time for a Flory wash and then she'll be all done........................comments and suggestions welcome as always. Very well done. Isn't Flory wonderful? 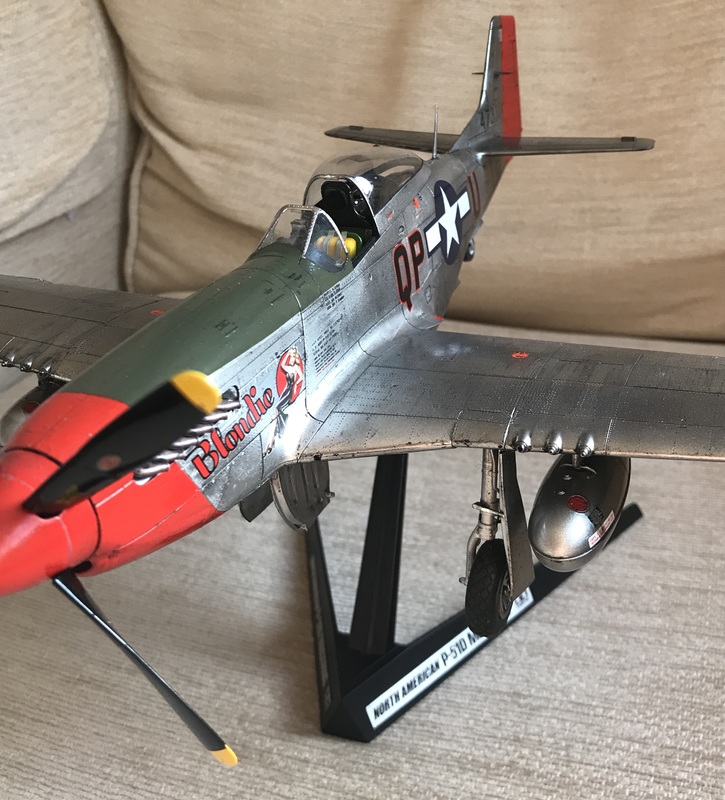 Resprayed the drop tanks (Alclad Airframe Aluminium - ALC 119), finished the weathering (Flory - black & dark dirt) then sealed with Alclad (Klear Kote Gloss - ALC310) . Overall, a nice kit to build, no major issues with fit or assembly, would give it a if asked. Enjoy......comments and critique as always welcome. 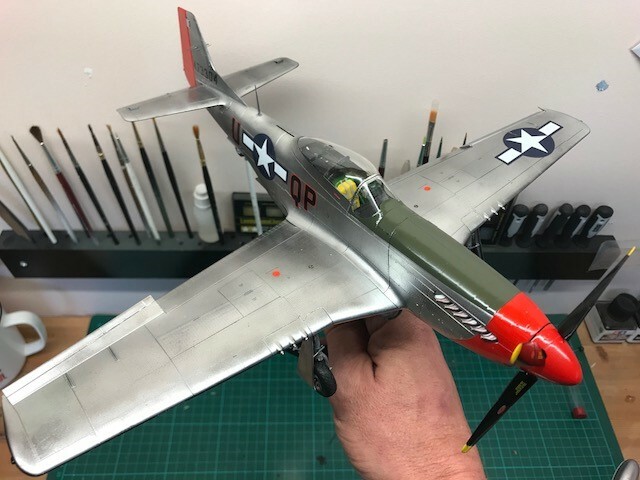 For such a small number of kits completed, you sure have caught on quickly! Very nice build! I’ve got a couple comments for you. Don’t always trust the paint call outs from a manufacturer. 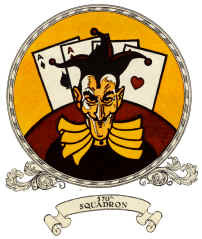 They’ll often give their best approximation with their own paints. 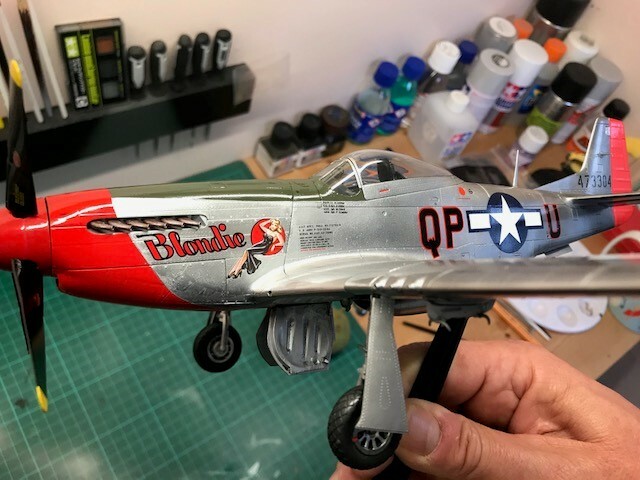 It’s good to do independent research and then use (or mix) your own paints from that. 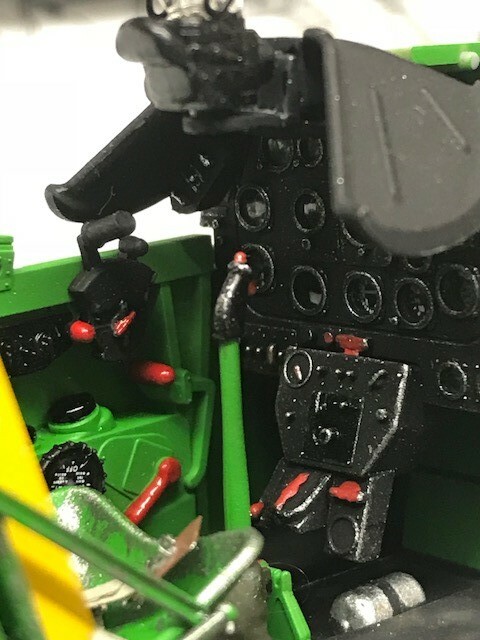 Second, look into adding a wash in the cockpit. 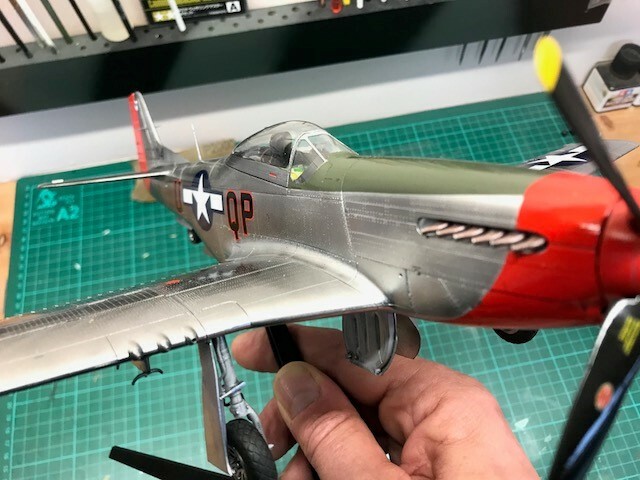 It will give you much more depth and detail than just paint alone. 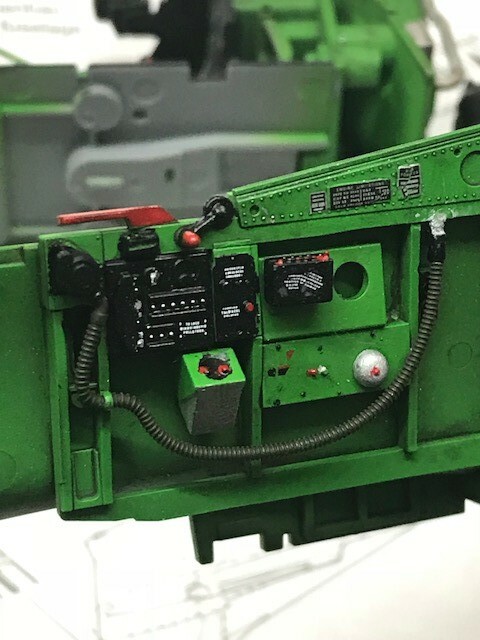 It was also suggested to paint the parts black, then add the interior color. This will help too! 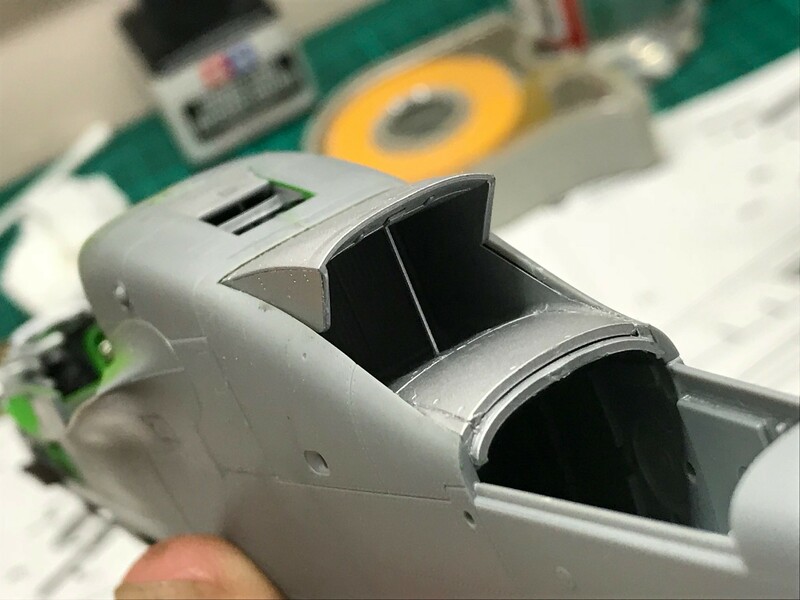 Your exterior looks well worn and dynamic, no reason you can’t add that to the cockpit as well. That’s enough tips from me, I’m going to admire this some more!